She is one of our frequent visiting customers who came to have another bling bling style. She likes fancy style and believes that this glitters and spangles will cover her some negative parts about her hands. This nail reminds me of belly dance. Isn’t the picture reminds you of that too? She doesn’t do any belly dance but I would like to recommend to people who are doing belly dance. This will perfectly go well with the dance and the custom. When you want to experience fancy style try out this gel nail! Especially for people who like gold color is really recommended. The base tone and the spangles are in same color. It unifies the color whole together. Doing mixture of deep French and full color relives the heaviness. So this is recommended for long nails or long body. 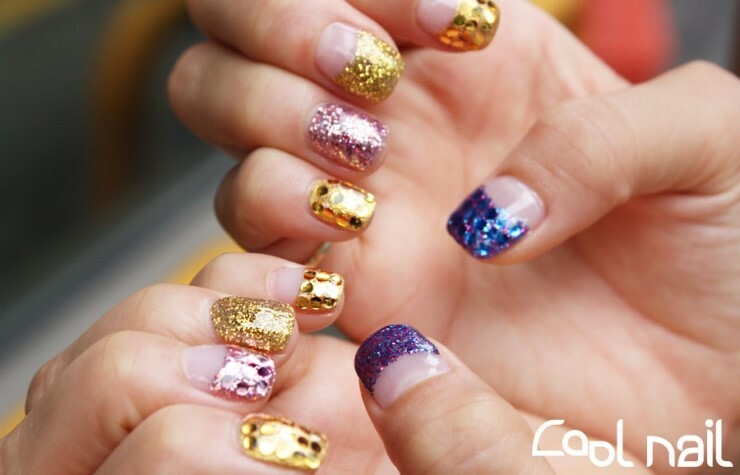 Vice versa nails could have the French line thinner and apply about two lines of spangles. Some glitters were added between the large spangles so it doesn’t look so empty. The large spangles and small glitters go well together. She always tells us to do her nails fancy because she thinks that her hands are ugly. 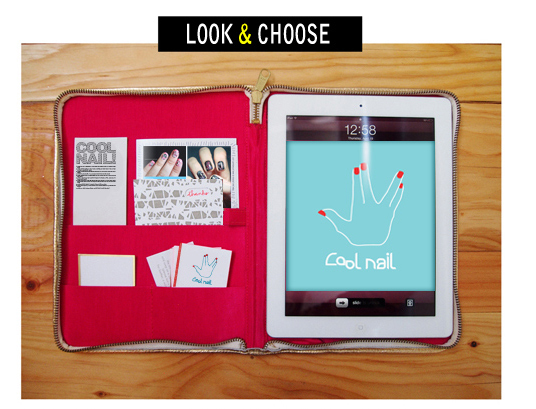 The fancy nail helps to scatter the vision from looking at the hand to the attracting nails. So this helps to cover her complex. Recommended to people who like fancy nails. Adding some spangles and glitters give thickness than to just having regular gel nail. So while doing SOAK have to give more attention. How long would you do SOAK and how much will you do the filing. The most important in doing SOAK is to have the nails not to get damage. So do SOAK in safer way, even though you are busy please do SOAK in Cool Nail. SOAK is more important than doing Gel Nail!